An upcoming GoWYLD.net webinar will explore U.S. History in Context and Native American Heritage Month. Join Chris Van Burgh for this free webinar on Thursday, November 8 from 2-3 p.m. MST. 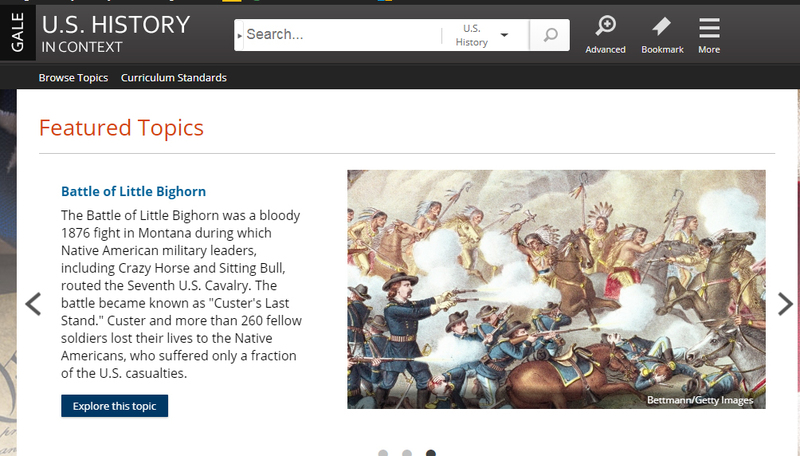 Gale pays tribute to important contributions, histories, and unique challenges, both past and present, with Native American content featured directly on the homepage of U.S. History In Context for the entire month of November.